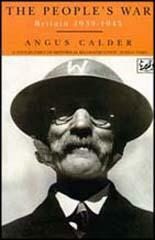 Kingsley Wood, the son of a clergyman, was born in Hull on 19th August 1891. He worked as a solicitor in London until he was elected to the London City Council in 1911. Wood, a member of the Conservative Party, was elected to the House of Commons in December 1919. After holding several junior ministerial offices became Postmaster-General (1931-35), Minister of Health (1935-38) and in 1938 Neville Chamberlain appointed him Secretary of State for Air. In this post Wood established the Empire Air Training Plan and doubled the strength of the Royal Air Force. In 1940 Winston Churchill appointed Wood as Chancellor of the Exchequer and a member of the War Cabinet. 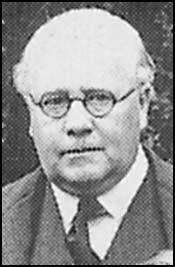 Kingsley Wood was working on his "pay as you earn" tax system when he died suddenly on 21st September, 1943. The Chancellor of the Exchequer, Sir Kingsley Wood, had not been too successful as Secretary of State for Air under Chamberlain, but he had been a notable success in the Post Office in the thirties. He had 'glamorized' the G.P.O. very ably, and had undoubtedly modernized its public relations. He was an experienced politician, a lively debater and one of the controversialists of the Tory Party; a strong anti-socialist, despite his work on behalf of the nationalized postal, telegraph and telephone services. At the Treasury Kingsley Wood did not have the powers that would accrue to a peace-time chancellor. The Treasury's powerful control over the spending departments of peacetime naturally tends to weaken in wartime. His period at the Exchequer will be remembered for his Post-War Credit scheme. I never thought much of the idea, feeling that the British people were ready to pay up in order to avoid having their throats cut by the Nazi Gestapo and storm troopers, and not to expect some of their money back when the war was won. I believed also that it was an unfair burden on some future Chancellor of the Exchequer to create a debt which, by the war's end, reached £800 million.